The upper Silesian coal basin (USCB) is located in the Silesian Upland in southern Poland.The Silesian Upland is a plateau with heights between 200 and 300 m, divided into distinct ridges by river valleys. It is a post-industrial landscape that has been heavily contaminated by coal mining activities. About fifty underground hard coal mines are still in operation. The daily discharge of mine waters into surface reservoirs exceeds 400,000 m3 (2016). Radium isotopes and heavy metals originating from mine waters pumped to the surface lead to a mixed contaminant situation. Currently, there are 25 settling ponds in use which contain in total 5,000,000 m3 of sediment with enhanced levels of radium isotopes and heavy metals. Usually, the decay chains start with 226Ra and 228Ra, respectively, precipitated from water and deposited in bottom sediments. Radium levels in the sediments of the former mine settling pond Rontok Wielki, for example, amount up to 49,200 Bq kg-1 for 226Ra and up to 6,400 Bq kg-1 for 228Ra. Highly mineralised formation water is also the source of heavy metal contamination. Heavy metal concentrations in sediments of settling ponds of 10 different coal mines reach 122,000 ppm for Ba, 830 ppm for Pb, 760 ppm for Zn and 270 ppm for Cu. Despite the high mineralization the saline mine waters are often used for technological purposes, resulting in additional contamination with hydrocarbons used as engine oil and lubricants. The Radioecological Observatory in the USCB comprises five sites all within 60 km of Katowice, they comprise flowing, semi-stagnant and stagnant waters as well as terrestrial ecosystems. Fish are the dominant vertebrate species in the aquatic ecosystems. Vertebrates are absent in the mine settling pond Kaniów. At the former mine settling pond Bojszowy, only small rodents and amphibians are resident. The following ICRP reference animals and plants, as defined in ICRP Publication 108, are present in the terrestrial ecosystems: rat, pine tree, bee, frog, earthworm, wild grass and deer. 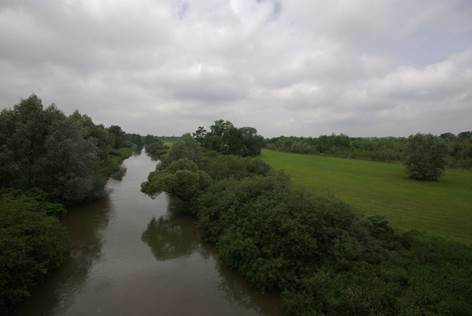 Site 1: Upper Vistula river, a natural river which is affected by the continuous discharge of mine brines with high activity levels of radium over a length of about 60 km. Site 2: Former mine settling pond Rontok Wielki (surface area 32 ha), a natural pond that was adapted in the past as settling and retention pond for mine waters. It is currently excluded from technological processes and filled with freshwater. 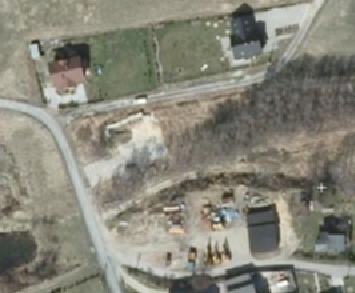 Site characterisation. 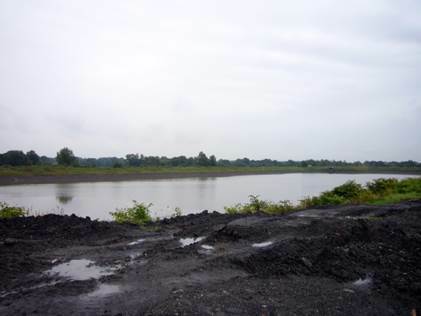 Site 3: Mine settling pond Kaniów (surface area 4.5 ha), an artificial pond that is currently used for clearing mine waters from suspended matter and discharging saline waters into the Vistula river in a controlled way. The bottom and banks are sealed by special waterproof membrane and reinforced by concrete blocks. 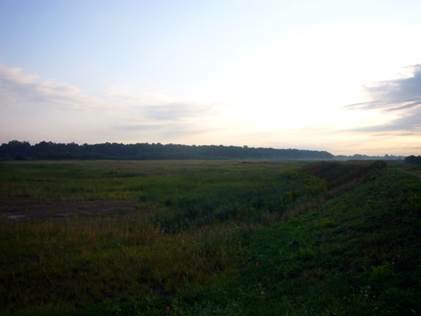 Site 4: Former natural pond Bojszowy (surface area 16 ha) which was used as mine settling pond for more than 20 years. After technical land reclamation, radium-rich bottom sediments were covered with a layer of an inert material. Site 5: Country borough Świerklany where a residential area, arable land and wasteland is contaminated by radium over a length of about 2 km along the former stream bed. The source of contamination is a small stream into which mine water was previously discharged for many years. The stream bed has been cleaned many times, the bottom sediments being removed and then placed directly on the vicinity of the stream banks. COMET ran a training course for students focussed on Naturally occurring radioactive material (NORM) in the environment. The course took place at the Silesian Centre for Environmental Radioactivity in Poland. The final report was published in October 2015. Institut de Radioprotection et de Surete Nucléaire from France and Główny Instytut Górnictwa (Central Mining Institute) from Poland cooperated on the Project named “Monitoring of RAdium and thallium in the vicinity of Mining SitES, “RAMSES” (01.07.2014 – 30.07.2016 ). The RAMSES project aimed at studying radionuclide transfers through the aqueous pathway in the vicinity of coal mining sites in order to identify radium source terms and mechanisms controlling its mobility. The investigation was focused on water and sediment characterization to better understand the fate of Ra through aqueous interfaces in the vicinity of mining sites. 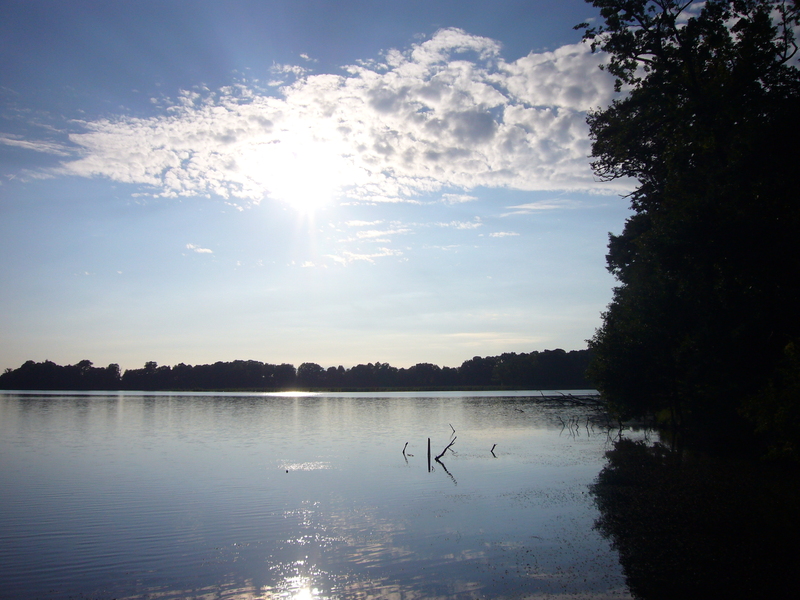 Two pilot sites were chosen for sampling and investigation, the hyporheic zone of a river adjacent to a settling pond and the water-sediment interface in a lake which was formerly used as a settling pond. A wide range of measurements were performed, both in situ and in radiochemical and chemical laboratories. The preliminary results were presented at IMWA 2016 Conference in Freiberg, Germany: Poster - Fate on radium in river and lake sediments impacted by coal mining sites in Silesia (Poland). Publications on studies at the upper Silesian Coal Basin sites. The Polish Observatory site provides the opportunity to investigate a variety of very specific research questions, e.g. different temporal stages of settling ponds (in operation, post-operational phase, after remediation measures). However, the sites do not provide large-scale terrestrial Observatories with high radium levels as expected. Efforts to identify alternative terrestrial ecosystems that are contaminated with high levels of naturally occurring radionuclides and suitable for hypothesis-based field investigations have not yet successful. The major problems are missing long-term perspectives and access restrictions.